As you can see I did not come away empty handed from this year's Stoke Challenge. "It was the best of times, it was the worst of times, it was the age of wisdom, it was the age of foolishness, it was the epoch of belief, it was the epoch of incredulity, it was the season of Light, it was the season of Darkness, it was the spring of hope, it was the winter of despair, we had everything before us, we had nothing before us, we were all going direct to Heaven, we were all going direct the other way." My newly painted, and very recently completed, Safavid Persian army made their competitive début and were promptly and repeatedly trounced. 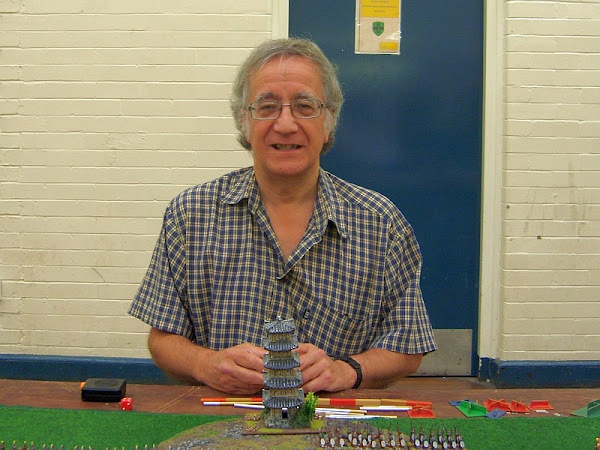 If you are interested my army list is available to view. I scored a total of 5 points in three games! By far my worst competitive performance to date. Consistently rolling 1s in Field of Glory Renaissance is never a good idea. Before the grisly details some well deserved plaudits and thanks should be awarded. Firstly, to the tournament winner Dene Green, to organiser Ray Boyles and finally to umpire Keith Spedding. 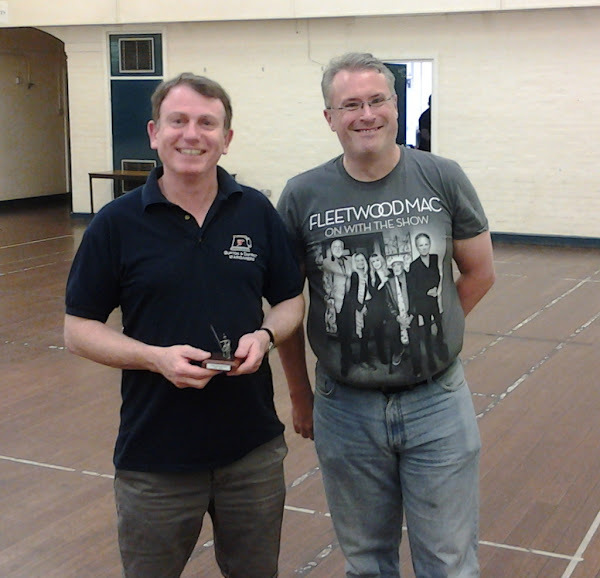 Here's Dene receiving his trophy from Keith (who's clearly been to see Fleetwood Mac recently). Wall to wall bow with cavalry on the flanks. No gaps. Bob set a trap for me on the right which I didn't see soon enough. Once in combat, I repeatedly rolled low and quickly lost bases; closely followed by most of my right flank. Within the first few moves I was well on the way to loosing the game. I managed to stem the tide somewhat and started to fight back and gain a few points. 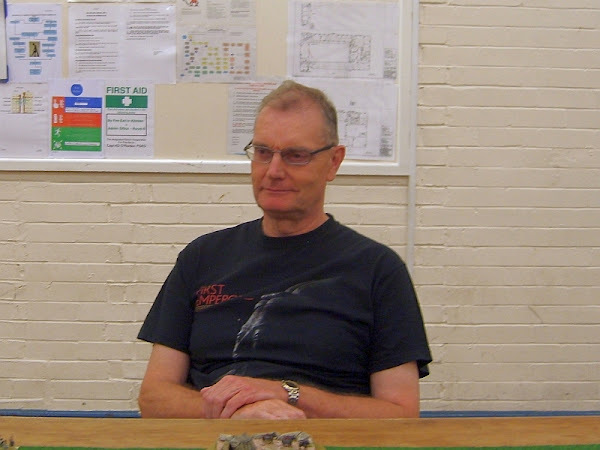 Time was called but Bob broke my army with the last dice rolls of the game. Major learning point: don't give the medium foot too much respect. The fully armoured gendarmes in Graham's army, led by a Great Commander, were my undoing. I lost nearly all my better cavalry to the former leaving the artillery and infantry very exposed. The Great Commander meant that Graham's battle groups passed a lot more cohesion tests than they would otherwise. A very quick game. Major learning point: focus the attacks rather than attack piecemeal. More Chinese but this time with a Great Commander! By this time I was trying anything: in this case a flank march. It never arrived but it worried Ray for a bit. My cavalry did well against his cavalry for a while but the lack of a third general (away on flanking duties) hampered me somewhat. 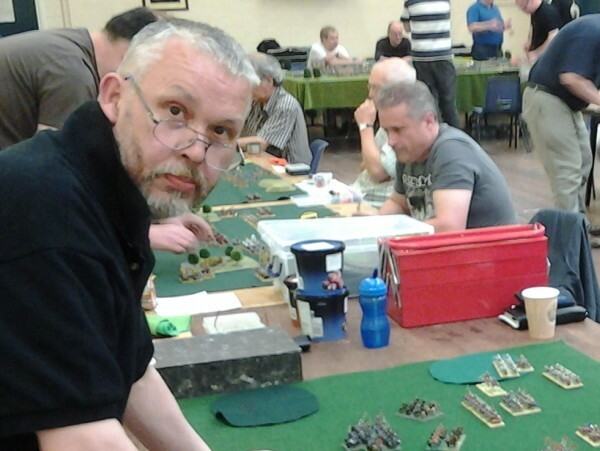 Yet again my artillery was next to useless and I had to endure the effects of 10 plus dice shooting at my units. The only comfort was that Ray didn't find it easy; despite the final score. His Great Commander rescued his embattled battle groups more than once. Major learning point: medium foot with light spear do not get a POA in melee.